This volume compiles a dozen essays, by one of the most prolific proponents of co-production as a solution for many of the challenges facing public services and democratic governance at the outset of the 21st Century. Co-production is considered a partnership between citizens and public service providers that is essential for meeting a growing number of social challenges, since neither the government nor citizens can solve them on their own. These challenges include, among other things, improving the efficiency and effectiveness of public services in times of financial strain; increasing the legitimacy of the public sector after decades of questioning its ability with the spread of New Public Management; promoting social integration and cultural pluralism in increasingly diverse societies when millions of refugees and immigrants are on the move; tackling the threat of burgeoning populism following the rise of anti-immigrant and anti-global parties in many countries in recent years; and finally, finding viable solutions for meeting the growing needs of aging populations in many parts of the world. This volume addresses issues related to the successful development and implementation of a policy shift toward greater citizen participation in the design and delivery of the services they depend on in their daily lives and greater citizen involvement in resolving these tenacious problems, facilitated by the active support of governments across the globe. 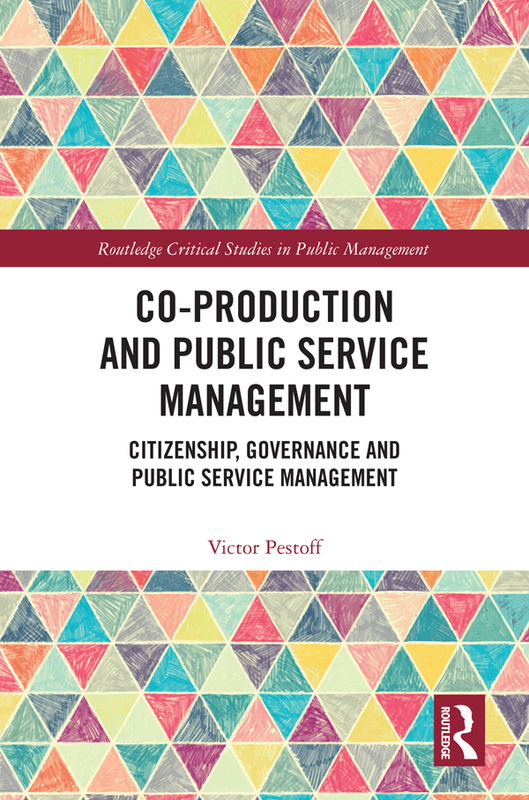 Moreover, it explores participatory public service management that empowers the front-line staff providing public services. Together with users/citizens they can insure the democratic governance of public service provision. "Victor Pestoff has long been one of the leading writers and thinkers about co-production. His new book provides an exciting and challenging perspective for anyone interested in this topic. Highly recommended!" -Stephen P Osborne, University of Edinburgh Business School, UK. 2. Beyond Exit & Voice in Enduring Welfare Services: Citizens as co-producers? service users, providers and the third sector? 11. Reframing Co-production: More definitions or different schools?